This year’s MWC Barcelona is going to be an action-packed affair. Plenty of announcements have already been lined up for the four-day exhibition, while a few product invites are still making their way. Latest one to join pack is nubia, which has posted an invite on Weibo for its launch event with the tagline ‘Flex Your Life’ along with an image suggesting a flexible device. Going by the teaser, the product will be launched in partnership with China Unicorn. 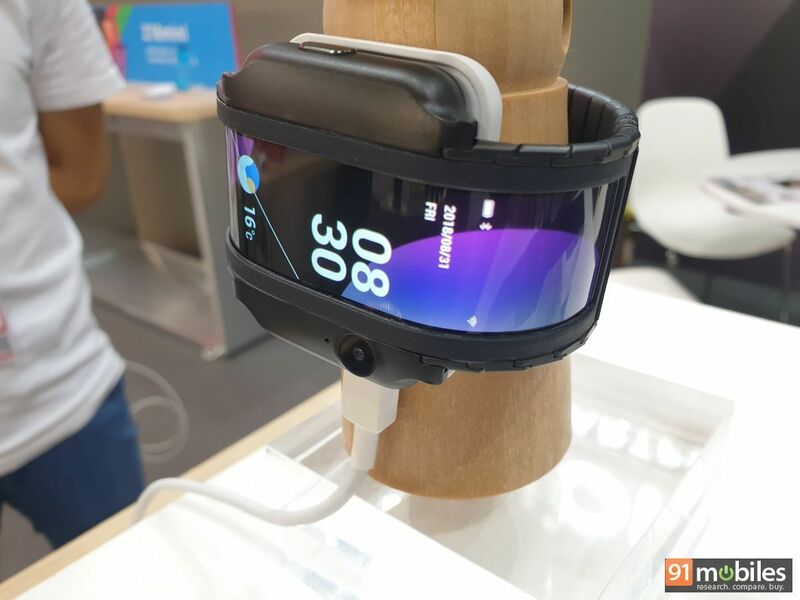 It’s worth noting that last year during IFA in Berlin, Nubia had showcased a flexible wearable smartphone prototype called the nubia Alpha (in pictures) featuring a curved OLED screen. The company had titled it the world’s most advanced wearable at the time. nubia’s CEO Ni Fei recently said that the brand will introduce a new wearable product with a flexible display, probably based on a similar design of the Alpha prototype. He also said that the device will be more practical for day-to-day usage, and may start a new trend for wearables category. This makes us believe that the upcoming product could be a refined version of the nubia Alpha. The werable device seems to be nubia’s unique take on the foldable devices phenomenon. From Samsung to Huawei, and from OPPO to Xiaomi — all the phonemakers are expected to launch foldable smartphones, with many of them expected to take covers off from their offerings at the Mobile World Congress itself.